The Australian drone industry is set for a shake up following the announcement of a long-awaited relaxation of regulations on their operation. Australia’s Civil Aviation Safety Authority (CASA) says the amended regulations will come into effect in late September 2016, and with them comes the introduction of new categories of what are known as remotely piloted aircraft systems (RPAS). The regulations define new low-risk commercial RPAS operations, which will allow operators of sub-2kg craft to fly without the need for an approval or licence. A drone must be operated in daytime and within visual line of sight of the remote pilot to be classified as low risk. It must not be flown over populous areas and must be kept at least 30 metres from other people. The drone cannot be flown greater than 130m above ground and it must not be flown within 5.5km of a controlled airport. Commercial operators in this new category will have to register their operations with CASA on a yet-to-be live website. Relaxed regulations will also apply to private owners of RPAS of up to 150kg. This is provided they only fly their drone over their private property and they do not operate their aircraft for direct commercial reward. In 2002, CASA was the first in the world to regulate the operation of drones. The regulations, contained in Part 101 of the Civil Aviation Safety Regulation (CASR 1998), were long considered ground breaking. 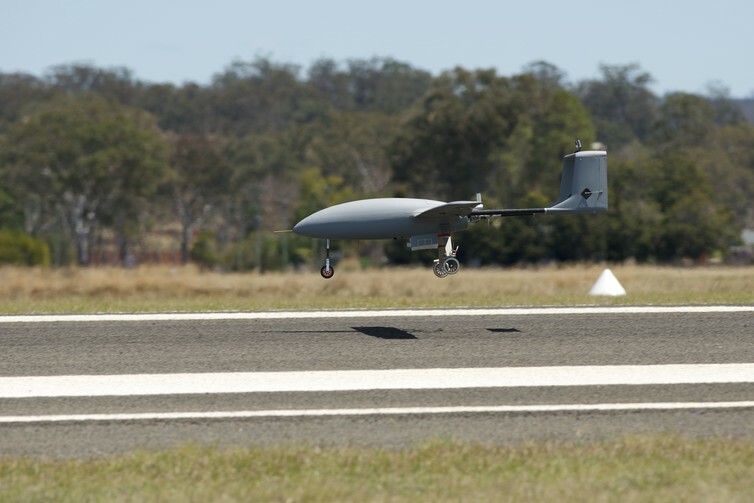 Much of the success of the Australian unmanned aircraft industry is owed to the flexible approach outlined in the regulations. In 2007, there were fewer than 25 certified drone operators in Australia. By March 30, 2016, this number had grown to 500, with most operating small multi-rotor RPAS. But with this rapid growth came the increasing need for regulatory reform. CASA recognised that the regulations needed to keep pace with increasingly capable technology, and the changing operational needs of the sector. It also realised that processing an ever increasing number of regulatory applications was not sustainable. The new changes will significantly reshape the drone industry. Operators already licensed by CASA are expected to face increased competition from the new sub-2kg RPAS operators. These new operators will be able to provide equivalent aerial photography and inspection services without the same regulatory overhead. Similarly, there will be an increase in the number of end-users choosing to own and operate their own internal RPAS capability instead of contracting existing RPAS service providers. Examples include the use of small inspection drones on building sites and the use of drones by tactical police units to assist them in hostage situations. But it is not all doom and gloom for the current licensed RPAS operators. The standard operating conditions applicable to the new low-risk categories are restrictive. Larger and more reliable drones will still be needed to carry bulky and more expensive payloads such as laser scanners, and hyper-spectral and cinema-quality cameras. These drones will still need to be operated by licensed operators. Approval is still required for first person view (FPV) outdoor flying operations, where the remote pilot flies by means of a camera mounted on board the drone. Similarly, autonomous drones, which operate without any input from a pilot, also require CASA approval on a case-by-case basis. A large drone that will still require licensed operators for commercial use. Research and educational institutions, such as universities, are also expected to benefit from the new categories, provided they operate their aircraft over their own property and in accordance with all other operational restrictions. Previously, these institutions were subject to the same licensing requirements as commercial operators. The amended regulations do not address concerns posed by the rapidly growing number of hobby drone users. Regulations applicable to hobby or recreational users are contained in CASR 1998 Part 101.G, which is the subject of a separate CASA regulatory reform project. There is growing concern over the risks hobby users pose to other aircraft and to members of the public. Some of these hobby users are not aware of the potential danger their drone may pose. There have been numerous near misses of small drones with passenger aircraft in recent years. As the rate of these incidents increases, there is real concern that a drone will eventually be ingested into an aircraft engine causing catastrophic damage – or worse, an airline crash. Others are well aware of the dangers their drones may pose to the public but they are deliberately mischievous anyway. Education remains the only effective tool, with CASA leading a campaign to educate hobby users on the safe operation of their aircraft and the regulations that apply to them. Without doubt, the release of the amended regulations will mark a significant milestone in the history of the Australian drone industry. They will help to sustain the safe and viable growth of the sector. But the devil may still lie in the detail, of course, with the accompanying manual of standards yet to be released by CASA. The manual will contain more detailed requirements including those for remote pilot licences, flights in controlled airspace, and flights beyond visual line of sight of the pilot. CASA’s exact interpretation of “Aerial Work” and “Commercial Reward” also remain unclear.